In the mid 1840’s, (while Gilbert Knapp was founding Racine), Verdi was writing operas in Italy, Brahms was composing symphonies in Germany, and Mendelssohn was conducting Elijah in Leipzig. Small companies all over Europe, like computer and software enterprises today, were staffed by some of Europe’s brightest folks who were applying the latest technologies to the design and assembly of musical instruments. To this day, those instruments are some of the most valuable instruments in the world. One of those instruments is an old German cello that belongs to Laura Jean Deming. Deming lives in Racine, though most days she and her cello commute to Chicago where Deming is a cellist with the orchestra of the Lyric Opera of Chicago. She bought it in 1973 from David Sanders, who was then and continues to this day to play with the Chicago Symphony Orchestra. At the time Deming’s father cashed in an insurance policy to pay for it. Today it is worth ten times more. In 1968 Deming’s father, who was a United Methodist minister, was appointed to Christ Church here in Racine and they lived here until 1972. She attended Case High School and took lessons with local teachers. She particularly remembers the time that The Johnson Foundation brought The Camarata Trio to Racine. Laura Jean started to play with the Racine Symphony. Dudley Powers was the conductor at that time. He also taught cello at Northwestern University in Evanston so when Laura graduated from Case, Powers encouraged her to attend Northwestern. He even helped arrange a full scholarship for her there. It was there, in 1973, that she arranged to purchase the “mutt” cello that she still plays to this day. “The thing about classical instruments that most people don’t know is that good sound doesn’t necessarily make an instrument valuable as an investment. Investors buy the classy ones with the pedigrees, like Stradivarius. But what keeps an instrument sounding good is for it to be played regularly.” Incredibly expensive instruments are like race horses, folks with lots of money may “own” them, but then they must find a serious musician to “work” them every day. “Instruments like these old beauties are almost living, breathing beings. They need human touch. They need our warmth, the constant vibration of being played.” She goes on to say that an instrument that is not played will lose it’s best sound. An instrument, played constantly, will grow richer and richer in tone over the years. There’s another surprising factor in the evolution of an exquisite sounding instrument. Most instruments have sustained cracks somewhere along the line and then been repaired. “I traveled to Scotland in 1976 to take classes from Jane Cowan at the International Cello Centre. I couldn’t afford to buy a seat for my cello and I put it in the cargo bay. When we landed in Europe, I was horrified to discover that it had an immense crack in it.” She took it to a shop in Holland that has an international reputation for these types of repairs. Since that latest repair, the cello has sounded even richer. Once again, investors go for unblemished instruments, but musicians know that carefully and artfully repaired ones can eventually produce an even richer sound. What’s not to love about a fine cello? 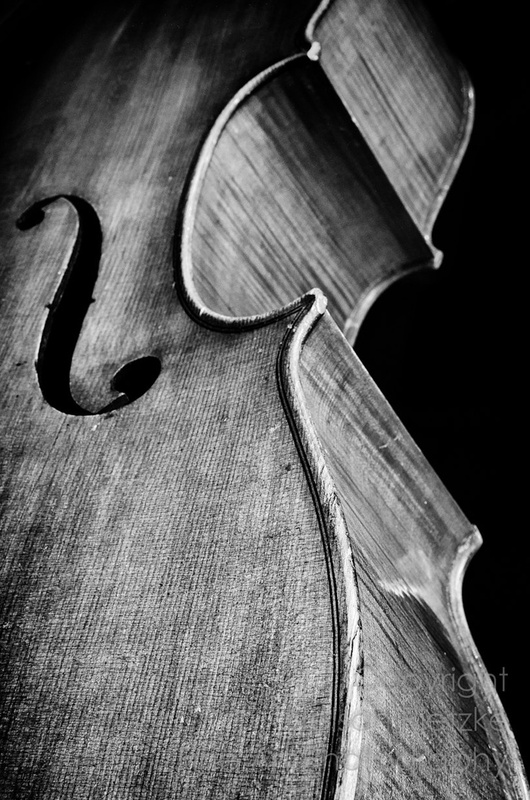 Not only is the music exquisite, but, to find true quality, you must look for cellos that are very old, constantly used, occasionally cracked and then expertly repaired! Sounds like a good friend. I remember meeting Laura Jean at Trinity for the first time and telling Michael ( he was the organists ) that I swear I knew her from somewhere... A few days later he came home and said maybe it's because she went to Case High...THAT'S IT !! I grabbed my yearbook and there she was. Not the sophisticated woman I just met but the awkward teenager I remembered from looking through the door of her band class when I was looking for a boy in her class I had a crush on. It's a small world out there.